MEXICALI, Mexico, March 23, 2016 — Full of drive and passion for automotive engineering, four middle school students from Colegio Americano de Mexicali took first place in the global 2016 Student Automotive Design Challenge (SADC) sponsored by Honeywell and SAE International. The team of Alejando Mungaray, 12, Daniela Urrea, 12, Valeria Hernandez, 13, and Adrian Perez, 12, created their “Make It Up” toy car company during two months of classroom activities. Their project used an alien space theme to align with their demographic research on what a target audience would want in a toy car. The special curriculum emphasizes math, science, technology, social studies and language arts in order to research, design, market and engineer a functioning electric gear-driven toy car that must meet performance standards. The competition was led by teachers from Colegio Americano de Mexicali and assisted by Honeywell employee volunteers. Honeywell’s SADC is now in its eighth year and was comprised of more than 150 students in 7 schools from five countries. “We are very proud of our team for what they accomplished. To win is a great honor for these bright students. Honeywell’s expert help enabled our students the chance to apply their theoretical knowledge of these subjects in practice – and they enjoyed every moment of it,” said Graciela Ramos, principal of Colegio Americano de Mexicali. The “Make It Up” team competed against winners advancing from local competitions in the United States, Czech Republic,Mexico, China, and France. All of the teams constructed a video of their project that was then reviewed by Honeywell employees and other external audiences in an online voting process. The winning team has been recognized by Honeywell throughout its global operations and will be hosted for a trip to an industry attraction linked to math, science or automotive technology later this year. The SADC Challenge is a co-sponsored program between Honeywell and SAE International, in which small groups of middle school students ages 11 to 14 employ a multi-disciplinary curriculum into the development of their final project. During the six to eight week in-class school curriculum, the students are connected to Honeywell volunteers, who mentor and guide them through this process, giving the students an opportunity to connect and engage with the automotive industry. Honeywell Aerospace products and services are found on virtually every commercial, defense and space aircraft, and its turbochargers are used by nearly every automaker and truck manufacturer around the world. The Aerospace business unit develops innovative solutions for more fuel efficient automobiles and airplanes, more direct and on-time flights, safer flying and runway traffic, along with aircraft engines, cockpit and cabin electronics, wireless connectivity services, logistics and more. The business delivers safer, faster, and more efficient and comfortable transportation-related experiences worldwide. For more information, visit www.honeywell.com or follow us at @Honeywell_Aero and @Honeywell_Turbo. SAE International is a global association of more than 134,000 engineers and related technical experts in the aerospace, automotive and commercial-vehicle industries. SAE International’s core competencies are life-long learning and voluntary consensus standards development. SAE International’s charitable arm is the SAE Foundation, which supports many programs, including A World in Motion® and the Collegiate Design Series. Mexicali, Baja California, Mexico – Fauna launches distribution of their award winning beers in California which will hit shelves this week in San Diego and Los Angeles. “We are excited to have our beers available for customers in the United States. And we look forward to sharing the unique story and brewing style from each our beers with new customers,” says co-founder and president, Alex Larios. Fauna was started in 2011 in Mexicali and is distributed in major markets across Mexico. Fauna also operates a tasting room in Tijuana’s Plaza Fiesta, a short distance from the San Ysidro US-Mexico border crossing. Fauna’s core beers to be distributed in California include: Lycan Lupus IPA, Penelope Coffee Porter, Tristan Blonde Ale, Mala Vida Belgian Blonde Ale, Mercedes Brown Ale and Caracol Saison. Seasonal brews and collaboration beers will also be available from time to time. Fauna is working with Newport Beach, CA based GRDLOC Partners LLC to import its products and coordinate distribution. GRDLOC imports and wholesales craft beer and fine wine, with an emphasis on products from Mexico. To learn more visit www.grdloc.com or contact by email: jay@grdloc.com or phone: (949) 229-3994. Baja.ca is a comprehensive online source of first-hand travel information for the Baja California Peninsula. We offer Baja travelers expert advice about local restaurants, hotels, and activities, as well as guides, maps, complete event calendars and great stories about incredible travel destinations, from Tijuana to Cabo San Lucas. We also provide free personal travel consulting, planning and booking services in Los Cabos, Todos Santos and La Paz, with prices that match or are below best advertised price. For more information, please call toll-free (US/CAN) 855-BAJA-411 or email us at info@baja.ca. The first weekend in November is the perfect time to visit the hot tubs at Guadalupe Canyon (Cañón de Guadalupe), based on our recent trip. With daytime temps in the mid-80s and nighttime hovering around 60, being in this secluded canyon oasis with its individual tubs and thermal springs and magnificent vistas was heavenly. One suspects, though, that the thermometer here can see some dramatic seasonal changes and the very cragginess of the huge mountains surrounding the camp would imply that fierce winds and dramatic storms are what have carved this truly unusual landscape. I’ve heard about Guadalupe Canyon, between Mexicali and Tecate, for years and actually have never known anyone who took the plunge. It sounded so romantic to me, the idea of private hot tubs surrounded by palms and mountains. The toll roads are great; be sure to carry about $20 in small bills to pay tolls, one way. So we packed the dogs and our gear in the car and, looking like the Joad family, and we headed up Highway 1, cutting over to Tecate on Highway 2000, and then east on Highway 2. (From San Diego, it is 140 miles; drivers could drive to Mexicali and cut down 50 miles from the border, or could cross at Tijuana and then catch Highway 2). These are toll roads and, overall, we estimated that we spent around $17-18, one way (one of the toll booths costs around $9, so have plenty of cash). It is actually hard for us to tell how much money this leg of the trip cost, since our rather large puppy Woody had just consumed a large part of one of our sleeping bags. **Tip: If you are driving from the US, consider checking with Baja Bound for Mexico insurance, which is required. From this direction, we drove up the impressive highway that snakes around the jaw-dropping La Rumorosa, a spiny mountain ridge climbing thousands of feet in the air before dropping you into a flat, un-hospitable dry lake desert area– the Laguna Salada. Shortly thereafter, we came upon an exit off the toll road, pointing us to Cañón de Guadalupe . La Rumorosa is a spectacular part of the drive to Canyon de Guadalupe, coming from the west. Honey, we are almost there, right? So, so wrong. As I poured Evian into a small bowl for the pups, my husband steered the car down a bleak dirt road that was going to take us to our destination. The first vado (mini-sinkholes caused by water drainage) we hit sent my water bowl a-flyin’, much to Woody’s delight. From then on and on and on and on, it was washboard city, the relentless thump of the road punctuated by an occasional howl of pain as one of us landed too hard on the car seat. For 45 minutes, it continued this way. We could see jagged mountains to the south, but ahead of us was white sand road and tumbleweeds…and not a car or a person or a crow in sight. And, finally, a sign pointing the way to the hot springs. This patch of road actually got worse, studded by large rocks and indented with former rivulets from past rains. The going was slow and now the dogs actually starting yelping. We finally turned into Guadalupe Canyon and tried to find our camp site by ourselves. We have a 2-wheel drive Escape and this is some pretty tough road; our site, El Mirador, was up a short but very steep embankment, easy for a 4-wheel drive car. The third time Jim gunned the motor and took the embankment at a run, we made it to the top…and I actually started yelping. We’ve Arrived: Let the Hot Times Begin! So, four-ish hours later, we were here. Where? It took a trip back about ½ a mile to find Oscar, the caretaker of Guadalupe Canyon, to show us. There are 14 different camp sites with hot tubs, and they are scattered throughout the canyon. To be fair, some look in disrepair, and ‘rustic’ would be a good word to describe the venue’s overall impression. Each site accommodates a different number of cars/people, each fenced off from the main dirt road. Oscar helped us find El Mirador which he told us had been cleaned and freshly refilled with water. He pointed towards the south, mentioning the hiking trails to the waterfall and also noted that the canyons harbored some petroglyphs. He gave us the low-down, including the fact that Cañón de Guadalupe has a small store and we were pleased to be able to buy bundles of wood from him. Our Escape could not get up to our site, sadly, which meant us hauling all of our gear up to our own personal palapa. That’s when Oscar left. El Mirador is one of the hot tubs at Guadalupe Canyon that offers complete privacy for two people. This baby was all ours! Our butts still vibrating from the drive, we hiked up the rocky hill to El Mirador. First reaction: How cool and totally private!! The site is a large cement pad perched within the rocks on a hill, the living area completely covered by a large, two-person palapa. Within the palapa is a huge rock fireplace and a picnic table. Jim tries to tell Woody that clicking his heels won’t take us back to Ensenada. Just steps down from our ‘living room’ is the beautiful hot tub, lined with big round boulders and a palm tree, open with a view to the date palm groves and the mystical mountains. Next to the thermal spring hot tub was small fireplace, perfect for warding off chill winds while sitting out and star watching (OMG, this is seriously the place to do that!). **Not within sight of us, but near, is another two-person site called El Sol; my recommendation for two couples is to book both! Romance. really? Where’s my couch. Dinner was a cook-over-the-fire event, with rack of lamb, salad and a nice rosé. It was, coincidentally, Day of the Dead, so we toasted departed friends and then tried to coax our other dog, Blackie, out from under the picnic table. Where he had been from the time of our arrival. And where he remained, perturbed by our idiocy in leaving the comfortable surroundings of home. Dinner by the open fireplace in our palapa, wine and thou…life is ruff. Music is not allowed at the hot tubs at Guadalupe Canyon, hence the tranquility is deep and sublime. When we curled up to sleep, a light wind kicked up outside rustling the palms and gently buffeting the flaps of our tent. The murmur of a voice in the canyon, a far off cry of a bird and the ubiquitous sound of trickling water was all we could hear. Except for the symphonic notes issuing from Woody snoring, and from Blackie, miserably whimpering in his sleep. There is no better time than just before dawn in the Guadalupe Canyon…we should know! Thanks to our faithful hounds we were awakened in time to see the sun rise over the mountains and to dip out feet in the mineral waters before the day started cooking. We watched the mountains carefully, hoping to see one of the elusive bighorn sheep that roam the area. After eating, Blackie returned to his spot under the picnic table and Woody sullenly chewed on our final paper towel roll. There was no joy in hot tub town for these cursed canines, and they wanted us to know it. Sitting in the hot tub with our steaming cups of coffee, we looked at each other, regretfully realizing what we both knew: the hot tub party was over. We’d give up our final night at Guadalupe Canyon so that dogs could be happy…that’s what love is all about. Tucked in the granite canyons and palm groves are the hot tubs of Guadalupe Canyon. Before packing, we hiked around, visiting some of the other empty camp sites and scoping out where we would bring friends to in the future – because we will come back to the hot tubs at Guadalupe Canyon, but we will be sin (without) dogs. It was fascinating clambering up stony paths and discovering some palapas with cooking areas and sinks, and some with hot tubs that could hold up to 12 people! As we toured, Woody proceeded to hoover all over the campgrounds, snarfing up scores of little black pellets that thankfully were droppings from the palms. Nonetheless, cause for more concern about potty breaks on the drive home. We wish we’d had time to visit the ‘cool’ pools in the granite hills, or the waterfall far back in the canyon. It was not meant to be. The ‘boys’ can hardly wait to get to the car; I can hardly wait to come back to Guadalupe Canyon. But we will. The hot tubs at Guadalupe Canyon are not for everyone. It’s very off-road, very off-grid (although there are flush toilets available and what is REALLY weird is that you can feel the hot water steaming your bum! ), and very off-beat. The sites are not super-cheap and, in fact, our site was $75 a night (but they all vary). However, this is a geologically remarkable place that offers privacy, relaxation and a little bit of magic, too. The romance part? Well, I guess we won’t know until next time. Last week, The Real Baja featured an article about craft beer in Baja California. Even though a big part of the recent craft beer boom is thanks to microbrewers (some of them even call themselves nanobrewers), there are some cases of success for established and consolidated companies in both the national and international market. This time, we talked to Carlos Martínez and Mario García, respectively the master brewer and CEO of Cucapá, the most important craft beer in Mexico and one of the pioneers of the movement. What is the concept of Cucapá beer? Carlos Martínez: The Cucapá concept is a 100-percent craft concept mixed with a bit of border humor which has gained us great recognition both in the national market as well as the export market. I’ll tell you some of the history. Back in 2002, Cervecería de Baja California, one of the first microbreweries in Mexico, opened its doors. A brew-pub — a bar that made its own beer — opened in Mexicali after three years of planning. The concept was simple: a pleasant ambience with fresh, top quality beer. We now have a somewhat different pub where people can go taste our beers, attend launching parties and get to know the craft beer world. During these past 10 years, we have been developing drinks that are different from those the consumer can normally get in the national market. In some cases, our clients have liked beer we have created for the season so much that we have had to release them as permanent brands. What types of beer do you offer? CM: Cucapá has ales crafted with the best quality products. We have different “styles” of beers, classified as ‘permanent brands’, ‘seasonal beers’ and ‘special editions’. Each one of them has its own name. The ‘permanent brands’ are available throughout the year and there are five different styles: Clásica (Blonde Ale), Obscura (Brown Ale), Honey (Amber Ale), Chupacabras (Pale Ale) and just recently we added Runaway (India Pale Ale), due to its success as a seasonal beer. The beers we call ‘seasonal’ are those that come out at different times of the year: Lowrider (Double Rye), Oveja Negra (Stout), La Migra (Imperial Stout) and our number one beer, Green Card (Barley Wine). We consider as ‘special editions’ those beers we have elaborated for a unique occasion: La Migra Winter (Imperial Stout), Baja Buggy (Kolsh Style), Imperio (Red Ale), Bracero (Wit), Tequila (Barrel Aged Ale). Anyway, we have a wide variety of styles, as you can see. What challenges does a local brewer face when trying to produce high quality beer? CM: There are a few we can mention, one that for me is of great importance is the availability of raw materials; we mostly brew our beers with supplies from the US and Canada. This factor can make the difference as a brewery known for its excellent quality. Worthy of mention are issues like the IEPS (which is a special tax on production and services) — a tax of 26.5 percent over your sale (plus VAT); overall, 37.5 percent goes to the tax office’s vault. I think the challenge we face more often is the one regarding sole rights in our country, since 90 percent of the sale permits are granted to Mexico’s biggest companies. 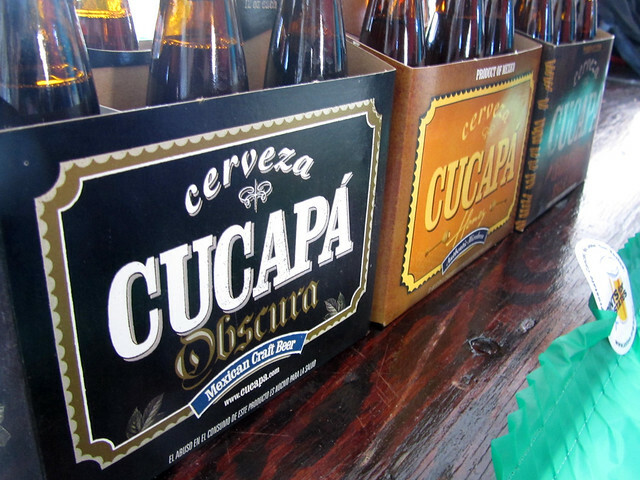 What’s next for Cucapá beer? CM: Big projects. Actually, I happily tell you that next year we’ll be changing the Cervecería de Baja California facilities, looking for a 100 percent increase in base capacity. Ten years ago, we had the capacity of producing around 13 beer boxes by batch; this year we are producing 6,000 boxes a month. It’s very important to mention that we are reinforcing our sales team to get ourselves a place in supermarkets and convenience stores; we think that the market is opening little by little and the clients are every day more willing to taste beers that are different to the ones they are traditionally accustomed to. Why, for what and for whom is Cucapá brewed? Mario García: Like good beer lovers, we saw the need to offer craft and gourmet beer to a market that had been dominated for decades by macro commercial beers. The name of this beer would be Cucapá; that was ten years ago. Cucapá was born with the intention of showing something different to what we were accustomed to. We wanted to show people that there’s a world of styles that are reflected in the color, aroma, body, flavor and other features that make up a craft beer. This is very different in Mexico since in the beginning it was considered an “elite” beer; in the US is not necessarily about social status, but a lifestyle. Due to the strong relation between craft beers and pairings, some people can consider it like that. But these beers are made for anybody who can appreciate a good beer by itself or paired with food. In your opinion, what caused the craft beer boom? MG: I think the influence we have from the United States and Europe has had a lot to do with it, the fact that it is growing so much in these countries has turned it into something very visible in Mexico. Ensenada had the wine boom and Mexicali (if not the whole state) is having the beer boom. I think that the gastronomic development has also been an important factor since that’s something that constantly asks you to try new ways of prepare food and this extends to the drinks that go with it; before, the pairings were made with wines, now Chefs are looking for craft beers to make this kind of arrangement which has surprised a lot of people outside of this industry, that they would consider a beer like a “gourmet” drink. Today more and more people appreciate a good beer and they are more willing to pay for quality than for quantity. What does somebody looking to start in the local craft beer market have to face? MG: We have a lot of experience in this since we are pioneers in our city. Thanks to the breweries that started this movement, from a couple of years ago the road has been a bit more open for “home brewers”, people who are just beginning to make their own beer. To people starting in this industry there are different permits they need to be able to send this kind of product. Does the government help them or doesn’t it? MG: The state doesn’t really help but there is a lot they could do to help develop this industry. We all know that the main problems for the development are the monopolized permits and their high price. There is legislation regarding the issue that could help the industry grow, like the effort they have made with wine. Something that could be done is to eliminate the exclusivities big brewing companies have on public parks and a bunch of other activities. With these issues resolved, a great industry would start growing in our state like it has happened in the rest of the world. What is next for Cucapá? MG: A lot of growth. Without a doubt things have changed in these last years, it’s not the same as ten years ago, when we started. We are living a very important moment for this movement and we can proudly say that we have been the pioneers. We are a company oriented to our customers and we have the commitment of delivering the best quality in our beers; that is why we are the number one beer in the country. As the demand has grown so has our staff, and every area is working with all this development to be better at what it does. This year we are entering more markets and after a lot of effort we have entered the 7-Eleven chain stores in different places like Guadalajara, Baja California and soon we’ll be in Monterrey and the State of Mexico. We have plans of entering this kind of commercial chains more, something difficult for breweries like ours. We know the market is slowly opening up and consumers are more interested in trying new, different beers. Sandiegored.com is designed as the first portal in Spanish that provides information/entertainment and news in SanDiego and the Tijuana / Baja California region. Our main objective is that you find all the information that you need in SanDiegoRed and BECOME your preferred portal. We are committed to working tirelessly to meet your expectations and deliver the best website in Spanish. Contact SanDiegoRed.com or call (858) 454-511. 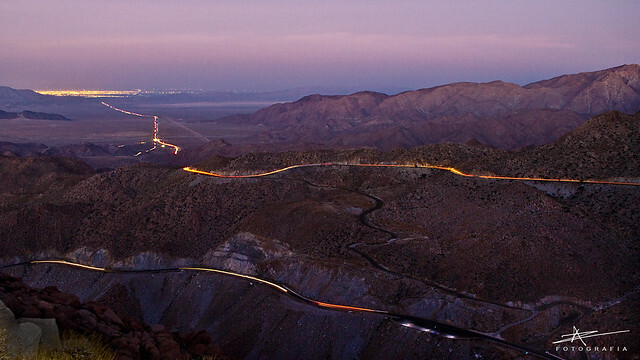 Mexicali is the capital of the state of Baja California and the northernmost city in Latin America. Its proximity to the United States has made the city a tourist destination with Americans from Arizona, California and Nevada, and it also serves as a portal for visitors who are heading further south to San Felipe or even over to mainland, Mexico. So what are the top things to do when you visit this bustling metropolis? 1) Mexicali is famous for its abundance of Chinese restaurants, which resulted from the migration of large numbers of Chinese workers to the area in the late 1800’s and early 1900’s. Mexicali’s Chinatown, or “La Chinesca,” is home to more than 100 Chinese eateries! If you’re craving egg rolls or some orange chicken, then look no further. 2) Teatro del Estado is consistently ranked by both visitors and residents in Mexicali as one of the must-see things in Mexicali. The teatro, or theatre, has a 1,100 person capacity and hosts numerous productions, both theatrical and musical, throughout the year in Mexicali. The theatre also has a very popular café, Café Literario, that holds a regular film night, frequented by locals. 4) Casa de la Cultura is a beautiful and historical landmark in the city of Mexicali. Formerly, this landmark was the Catedral de la Virgen de Guadalupe, a significant religious point of interest in Mexicali. Today the structure is simply referred to as Casa de la Cultura and is the host to regular art exhibitions in the city. This beautiful neoclassical structure is a must-see if you are visiting Mexicali. 5) Sports in Mexicali are very popular all year round. Mexicali boasts their own baseball team, “Aguilas Pacific Mexican League,” (aguila means eagle in English) and they have their own stadium with a 19,000 person capacity. The stadium hosted the Caribbean baseball series in 2009. Mexicali also has its own basketball team, The Soles de Mexicali. In the fall, head to Plaza de Toros Calafia (toro meaning bull) to see some traditional Mexican bull fighting. The nearby mountains, Cucapá and El Mayor, as well as the Mexicali Valley and Rio Hardy Valley all offer great hunting grounds for those so inclined. This area is especially noted for its dense population of pheasant – a favorite for hunters. Finally, if you are slightly more low-key and golfing is more suited to your taste, Mexicali is the home to the full 18-hole Club Campestre golf course. So, now you’re in the know…why not go? For more information on activities in Mexicali, check out the Baja.ca Mexicali activities directory. The following is an excerpt from a blog by Baja Amigos and Baja.ca contributors Dan and Lisa Goy. This particular blog focused on Canada’s National Aboriginal Day, which honors the heritage of the indigenous peoples. The portion of that blog published here shines a spotlight on the history of the Indian groups in Baja California, whose ranks were decimated in the 17th century, and whose peoples remain in much smaller tribes, even today. That said, in some areas of Baja, like Ensenada’s Valle de Guadalupe, groups like the Kumiai, Pai Pai and Kiliwa continue to contribute arts and culture to the community through festivals (the famous San Necua event at the far end of the wine valley area, near LA Cetto), health fairs, and more. Indigenous art (basketry, pottery, beadwork) and herbal and medicinal creations can be found in stores in the Ensenada area. The northern border areas (from Tecate-Mexicali down to the San Fellipe area) also have threads of ancestral culture (the Cucapás) woven into their regional culture. The primary native speakers of indigenous languages in Baja California Norte in the 2000 census were the Pai-Pai (193 speakers); Kumiai (159); Cochimí (80), and Kiliwa (46). All of these tribes were of the Yuman Linguistic family whose ancestors had probably migrated to the Baja Peninsula thousands of years earlier. Estimates of the Kumiai population in Mexico at the end of the Twentieth Century put their numbers at 600. Although ancestors can be identified genetically from many of Baja indigenous groups, the Kumeyaay (Kumiai) nation, whose territory includes both Alta and Baja California, is the only group to survive culturally. Ironically, most of the Mexican indigenous languages spoken in the two Bajas are actually tongues brought to the Peninsula by migrant workers from other states, in particular Oaxaca. The use of Oaxacan migrant labor in Baja California Sur has been a well-established practice since the 1970s. For more than thirty years, many Baja California growers have recruited Oaxacans almost exclusively, with La Paz as a major destination for most Mixteco laborers. Today, the Mixteco and Zapoteco Indians are the only significant indigenous languages spoken in Baja California Sur. It is likely that most of the 1,955 Mixtecos and 606 Zapotecos living in Baja were probably born in Oaxaca. In the 2000 census, 8,083 persons in Baja Sur claimed Oaxaca as their birthplace, while another 8,564 listed Michoacán as their birthplace, the original home of the Purépecha language. The Pai Pai Indians – also known as Akwa’ala – occupied the northern Sierras in the interior of the northern Baja California Peninsula. Their original territory included the lower Colorado River Valley in the present day municipalities of Ensenada and Mexicali, as well as adjacent areas in western Arizona, southern California, and northwestern Sonora. The Kumeyaay (Kumiai) Indians were hunters, gatherers and fishers who inhabited coastal, inland valley, and mountain regions along the present-day Baja California border region with the United States. The traditional Kumeyaay territory originally extended from around Escondido in California to the northern part of the present day municipio of Ensenada. Occupying the southern section of present-day San Diego County in California, the Kumeyaay inhabited the region near the San Diego Presidio when it was founded in 1769. The Kumeyaay in the vicinity of San Diego were also referred to as the Diegueño by the Spaniards. The Cucapás (Cocopá) living in the desert region along the Colorado River in the frontier zone of Baja California Norte and Sonora, fished and hunted deer, rabbit, moles, mountain lion and coyote. They also collected a wide variety of desert products, including cactus flowers, potatoes, and wild wheat. The Guaycura (Guaicura or Waicuri) lived in the middle part of the lower Baja peninsula, inhabiting the Magdalena Plains from Loreto down to and including the La Paz area. Meet Dan and Lisa Goy, Baja Amigos RV Caravan tours! From time to time, Dan and Lisa will take Baja.ca with them as they travel through Baja and have face-to-face, heart-to-heart experiences in this magical land. They are seasoned Mexico campers and they want to share their tales and their knowledge of Baja with you and with fellow RVers. So hop on the caravan and buckle up for a fun ride! Baja visitors and residents are invited to a unique culinary and dining experience in Mexicali and Valle de Guadalupe this May, as three chefs together present dishes that will represent a range of flavors and influences. Chefs Pablo Salas, Diego Hernandez, and Esteban Lluis will cater events on two dates: May 17 at Restaurante Mediterraneo in Mexicali at 7:00 pm, and May 19 at Corazon de Tierra in Valle de Guadalupe at 6:00pm. Please refer to the event flyer for more information, or view the event on Facebook. Can Mexico attract 5 million U.S. retirees with affordable medical care? Mexico has been quietly attracting greater numbers of Americans and Canadians seeking affordable healthcare. Many hospitals in Mexico have state-of-the-art staff and equipment in all major specialties. Without fanfare, President Felipe Calderon has been quietly working on attracting millions of U.S. retirees to Mexico by proposing the expansion of retirement benefits and medical tourism. Healthcare costs in Mexico are approximately 70 per cent lower than healthcare costs in the U.S. If Calderon’s proposal to Obama starts with an agreement allowing Medicare benefits to U.S. retirees living in Mexico, instead of Medicare only covering healthcare services in the U.S., the savings would be enormous to the U.S. and would also bring needed dollars to the Mexican medical profession. This is being quietly discussed at the highest levels, leaving media attention to the negativity it seems to prefer with both the drug wars in Northern Mexico and healthcare naysayers in U.S. politics. Many people from north of the border feel medical care in Mexico is equally expert but more human than in the US or Canada, and vastly cheaper. You can get excellent healthcare policies for 50-60% lass than in the U.S.
About one million U.S. expats already live in Mexico, and that number can grow to five million by 2025, according to estimates based on U.S. Census figures. Enticing even more U.S. retirees to move south of the border is expected to depend somewhat on getting the U.S. Joint International Commission to certify hospitals that meet the standards of U.S. hospitals. Hospital y Clinica UCA. S.A. de C.V. In other words, while the loudmouths roar, the whisperers are getting things done. Meanwhile, according to the FBI, “An estimated 15,241 persons were murdered nationwide in 2009″ in the United States of America. Officially, 111 U.S. citizens were killed in Mexico last year, a third in just two cities. Almost all of them were involved in illicit vocations, usually the trafficking of guns, drugs, or people across the border. This is 111 out of close to 8 million visitors, with nearly 1 million of those being part- or full-time residents choosing Mexico over the U.S. or Canada. You know who else had 111 murders in one year recently? Boston. And Las Vegas. And Orlando. Are any tourists scared of going to those places? Meanwhile, almost 1,000 U.S. citizens died in Puerto Rico. Nobody running the news desks cares about Puerto Rico or has an incentive to make people scared of Puerto Ricans (by nature, they can’t be “illegal immigrants”), so this isn’t widely reported. Then there’s the U.S. proper, which can’t get a State Department travel alert because it’s, well, not a foreign country. How’s your city doing in comparison to Mexico when it comes to the annual numbers?